This is what went wrong. Aligarh offered a concoction of secular modern education of the highest standard possible in India in those days along with basic religious instruction as advised by conservative religious scholars. This conservative version of religion was insufficient to hold its ground before the glamour of new ideas – just as Syed had suspected. Consequently, many among the next generation of the educated youth failed to appreciate Islam as a source of enlightenment and came to regard Western learning as synonymous with enlightenment - whether they opposed it or embraced it. After the First World War (1914-18), when Western arts and literature became pessimistic and decadent (as explained by A.J.P. Taylor so succinctly), our “new intellectuals” followed the pessimism of the West faithfully and downward into the valleys of fascism, communism, existentialism and any other “ism” that they could lay their hands on. There were exceptions – trend-setting journalist Muhammad Ali Jauhar (1878-1931), poet-philosopher Iqbal (1877-1938) and dramatist Agha Hashr Kashmiri (1879-1935), to name just a few. These thinkers did not severe their connections with the masses of their society. While they produced work which was “modern” in many ways, they accepted the consensus of their own community to be the final judge and arbiter on their art rather than the opinion of any Orientalist or the glamour of any Nobel or “Ig”-Nobel Prize (When Iqbal’s first English translation appeared in 1920, the novelist E.M. Forster wrote, “Tagore was little noticed outside Bengal until he went to Europe and gained the Nobel Prize, whereas Iqbal has won his vast kingdom without help from the West”). 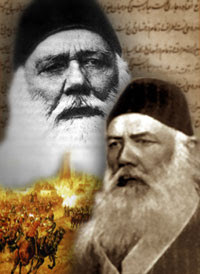 Consequently, the tradition of Jauhar, Hashr and Iqbal has lived in the popular culture of India and Pakistan – countless films from the mainstream cinema of the two countries, their songs and stereotypes can be quoted as evidence while detective writers like Ibne Safi also put the lines of Iqbal into the mouth of their heroes. The so-called “high culture” in India and Pakistan – include art, media and letters – never failed to offer lip service to Iqbal, sarcasm to Jauhar and outright insults to Hashr but on the whole it tried to remain indifferent to this common legacy. Why did it happen that artists like Iqbal, Jauhar and Hashr who remained close to the heart of their society ended up alluding to the collective ego involuntarily despite being self-acclaimed champions of Islam? Perhaps the answer lies in the significance of a small incident that occurred in Aligarh on December 27, 1886. The birds set out to seek their king, who was called Simorgh but whom none had seen. They passed through seven valleys, and only thirty survived till the end where, when the curtains were at last lifted, they saw thirty mirrors placed in front of them. Since si means thirty in Persian, and morgh means bird, Simorgh was practically each one of them seeing a reflection of themselves at the same time. However, the whole was more than the sum of its parts – “I am from you but still I am more than you,” said Simorgh and the voice came from each bird simultaneously. They united with the whole. This is the gist of The Conference of the Birds by the twelfth century Sufi poet Sheikh Fariddun Attar, who became an inspiration for Rumi in the next generation. Precisely what did he mean by Simorgh? Interpretations differ. It is quite evident that the seven valleys were symbolic and profound descriptions of the seven states available to an ego in the course of its development. However, it can be disputed whether Attar meant Simorgh to represent the Ultimate Ego, i.e. God, as was understood by most commentators in the subsequent centuries. The old man despairs of winning her, and faints. It turns out to be a dream: he is a mere boy who was dreaming about old age. Rather than being the last night of the year, as in the dream, it was the New Year morning. His mother advises him to do as his “bride” had told him. The concept of “the spirit of all human beings” was not unknown to Sufis. They had written about it at great length, often calling it “the Perfect Human Being”, or Insaan-i-Kamil. However, to personify it as something which an entire society, or perhaps the whole humankind, can achieve collectively was an ingenuous interpretation brought by Sir Syed a little before Nietzsche started dreaming about Superman. Syed did more than just describing it. It seems that he believed that the apparition presented in his fantasy was in fact a real being: the collective ego of humankind might be existing in reality, or could be in the making. Syed took two practical steps for achieving it. People’s victory over the “People’s Party” is being celebrated, and rightly so. However, the best celebration of this historic achievement would be to understand its true significance. For that we may have to turn back a few pages in the book of history. This seminal passage from Jauhar ingeniously upgrades the famous theory of Ibn Khuldun about royal dynasties and makes it useable in the age of democracy. The principle of historiography offered here is, however, quite different from approaches prevalent in the Western academia at that time or even now and elsewhere in his writings, Jauhar was also keeping in mind other factors which often get overlooked in academic writings. Based on these, he seems to be suggesting here that the impact of education is inevitable but bears fruit almost a generation after the seed is sown. 1886: Foundation of Mohammedan Educational Congress (later Conference). Thirty year later: Lucknow Pact certifying the principle of Muslim nationhood in 1916. 1967: Birth of progressive movements in West Pakistan and East Pakistan. Thirty year later: What would eventually mature into “enlightened moderation” begins with the reversion of weekly holiday to Sunday in 1997. 1987: Demand for elections on party basis becomes unanimous, as supporters of Islamization also join the chorus. Thirty year later: Wait till 2017, or try to make your own guess now. 2007: Lawyers’ Movement. Thirty year later: Wait till 2037, or try to make your own guess now. I would like to make a guess about the last one at least. If the Lawyers’ Movement, especially with the victory of March 16, 2009, is to regarded as a seed sown in the fertile minds of the generation who is young today, then it is likely that this generation will grow up with a mindset corresponding to the ideals of justice and impartiality. The best thing, at least according to Jauhar’s theory about social change, is that the outcome is inevitable and cannot be reversed by any setbacks which the movement may suffer in the near future. In fact, setbacks can only aggravate the long-term impact by providing extra fuel to the passions implanted in the minds of the youth at this time. Especially significant is the fact that Pakistan is currently having a “population bonus”. Just a few months ago I heard a leading educationist talking remorsefully that we are not tapping it sufficiently. Now I feel like saying: “Good that we are not. Given our existing trends, education could at best have inculcated more hypocrisy, snobbery and deceit among the impressionable youth. This peak moment provided by the inner impulse of the nation’s life might provide them with something better.” (Perhaps what we need to do in the field of education is to learn from the masses before presuming that we are fit to teach them – perhaps education can become more meaningful if our teachers start learning something from their pupils in the bargain). At least we need to incorporate the ideals of the Lawyers’ Movement into the syllabi of formal education so that kids growing up in comfortable classrooms do not lag behind in that learning which our “collective ego” seems to be imparting to the poorer ones, like a caring mother who hasn’t forgotten her less privileged children after all. However, the biggest youth program is being carried out under the banner of our late beloved leader Benazir Bhutto whose Pakistan People’s Party, unfortunately, not only holds the dubious position of being late in joining the Movement and early in leaving it but has also ended up as the major adversary against whom the recent – perhaps the final – round had to be fought. Also, professional guidance for the youth program is coming from the British Council which, despite its proven competence, is unlikely to be as much in touch with the soul of the nation as a vernacular institution could be (incidentally, the “leadership” component of the program is being led almost entirely by foreign experts at its highest level). In fact, the biggest friction against which we need to watch out in the long-term could occur due to the unschooled youth of today growing up with deeper emotional attachment to the cause of justice than their properly schooled counterparts. “Patience and hope,” writes Layla to Qais in the famous love poem by Nizami Ganjavi (whose 800th death anniversary falls this year, incidentally). “Do not look at the sower casting seed, but remember what will grow from it. If today thorns block your way, tomorrow you will harvest dates, and the bud still closed and hidden holds the promise of a blossoming rose.” That is what Pakistan seems to be saying to its citizens, and the principles of Muhammad Ali Jauhar are the best explanation of why it should be heard. We should celebrate the victory of the long march without being hampered by any fears of setbacks in the near future. The inevitable has been invoked. Amid the present doubts, let’s offer a toast to the certainty of tomorrow. On October 3, I posted my forecasts of the next 20 years on my blog. Many friends thought them unlikely to happen. I had stated that Pakistan will become increasingly distanced from the world, especially the West, and from 2010 will begin a period of isolation. Even that seemed unlikely to some in those days amid all the hype about the forthcoming Obama, and so on. Five months later, sadly, it doesn’t seem very far-fetched (Read what everyone is saying after the tragic attack on Sri Lankan players in Lahore yesterday). I was asked to explain what I meant by isolation, and I referred to Shikral, an imaginary landscape in the works of Ibne Safi (arguably the greatest Pakistani novelist). A dear friend commented that Shikral was modeled after the tribal regions of Pakistan and hence it is unlikely that the rest of Pakistan could ever come even closer to that sort of thing. Well, we now have our democratic government sanctioning the enforcement of rigid Shariah laws in Swat, the tourist haven once considered to be a mini-Switzerland in Pakistan. I am not a soothsayer, nor clairvoyant. Yet in this newsletter I have been bringing up the issue of forecasting because, odd as it might sound, Pakistan came with a roadmap. Its destiny was foretold in the writings of Iqbal, and in the speeches of Jinnah and Liaquat Ali Khan. Forecasting is not only to fulfill your curiosity. It is about preventing disasters and steering your ship in the correct direction (“The future isn’t the same once you’ve seen it,” Nicholas Cage says something to that effect in Next, a movie I recommend strongly if you haven’t watched it already). I have now done enough research to become bold about things which so far I have only suggested as hints (that’s why I was away). I shall begin by saying that one of the key themes in the works of Iqbal was forecasting the destiny of one’s nation, and ultimately the destiny of the humankind. 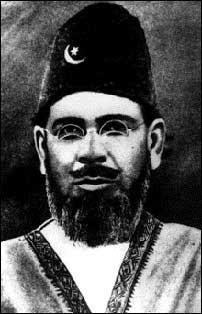 The theme is so dear to Iqbal that when he meets God “face to face” at the highest point in his journey, his single request to the Almighty is, “Let me see the destiny of the humankind.” There are quite a few methods for forecasting the future, and most of them are nothing more than pleasant pastimes. What I am talking about (and Iqbal was talking about) is different. It is a kind of intimacy with God. It is “interpretation of stories and events”, which God describes as His special boon to Joseph in the Quran. It is to develop our thought to such perfection that we can analyze history and Nature to see not only what is visible but also what lies beneath: the current of Life which is ever flowing through our lives, sweet and low, singing a song so faint that we need to shut off so many noises in order to hear it. “Listen to the flute,” says Rumi. “How it complains and narrates the story of its separation.” So far you’ve wondered if Time is a dimension of space. I am inclined to perceive space as a dimension of Time.